Jim & Chrissy went and joined “Marriage Boot Camp Reality Stars Family Edition” to get their relationship in order. But Mama Jones is STILL the center of their problems it seems. 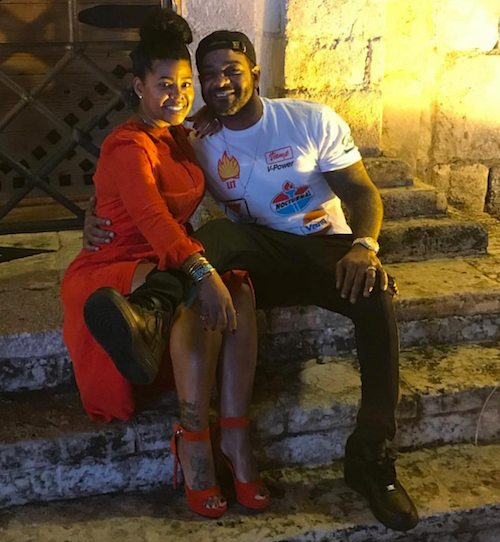 The rapper says he's stuck in between his Mama, Nancy, and fiancé of 7 whole years, Chrissy Lampkin. Yeah, we've seen it all before. Numerous times. On numerous shows. But the couple claims (again) this is their last resort. In our exclusive sneak peek of the season premiere, the producers have Nancy shacking up in Jim & Chrissy's bedroom in order to get to the bottom of why she's at the center of their issues. We mean, we ALL know why. Not sure why Jim & Chrissy seem in a constant state of baffled, though, when it comes to their semi-functional relationship. Yeah, we don't see this ending well. This season, “Teen Mom” OG star, Amber Portwood, her fiancé Matt Baier and mother Tonya are stuck in a vicious cycle of anger and tabloid scandals and enter Boot Camp as their last resort. “Real Housewives of Beverly Hills” wild child, Brandi Glanville, uncorks her rosé and unleashes her vices to get attention and acceptance from her embarrassed father, Guy. The mob is coming to blow the house down when Boot Camp veteran, Renee Graziano, and her sisters Jenn and Lana, descend upon the compound grounds with years of resentment and pent-up rage. Season 10 of “Marriage Boot Camp Reality Stars Family Edition,” premieres March 9 at 9:00 p.m. ET/PT on WE tv.